The former darling of the U.S. online poker community, Carbon Poker is now just another second-rung site. Making matters worse is that the ownership team isn't really interested in poker because it prefers to focus instead on its higher-margin sports and casino customers. Rather than just ignoring poker, it actually takes steps to inconvenience users, like banning winners. For these reasons (and others), we really recommend that our visitors pick another site from among our list of the best online poker sites. Nevertheless, we understand that you might be curious about this former leader in the American online poker scene, which is why we've kept this review updated, even years after we have stopped recommending Carbon Gaming. 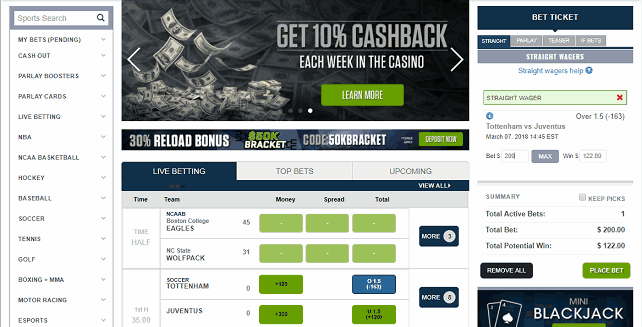 As part of the Merge Gaming Network, Carbon is a partner of Sportsbook.com and PlayersOnly. The games, promotions, and software are identical at all three Merge poker sites, so you can read this page for an accurate understanding of all the poker rooms on the Merge Network. The Carbon Poker greediness seems to go beyond just treating poker players as an afterthought. For instance, one customer posted about the closure of his account and the confiscation of $4,000 in winnings. The reason given for the termination of the account was that someone was allegedly chip dumping to the user. The proof of this malfeasance provided by Carbon's network partner Sportsbook.com was that the player in question folded K-high to a c-bet in a three-bet pot! 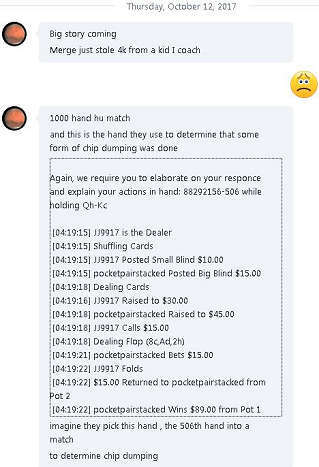 Adding insult to injury, we've received word privately that the other player in this session was allowed to keep playing, a weird outcome if the incident was really about chip dumping. Of course, this opponent was a huge whale: the type of individual whom the Merge Network likes to court. Our take on this situation is that the site was just looking to get rid of a shark with the added incentive of being able to hijack his cash to boot. A great resource for researching anything amiss about Carbon or really any other online gambling site is SportsbookReview.com, which has evaluated the company and given it a D- rating. Many of the customer complaints against the firm involve the sports-betting side of the operation, such as the report from a few years ago about more than 100 cases of slow-payment of winnings. 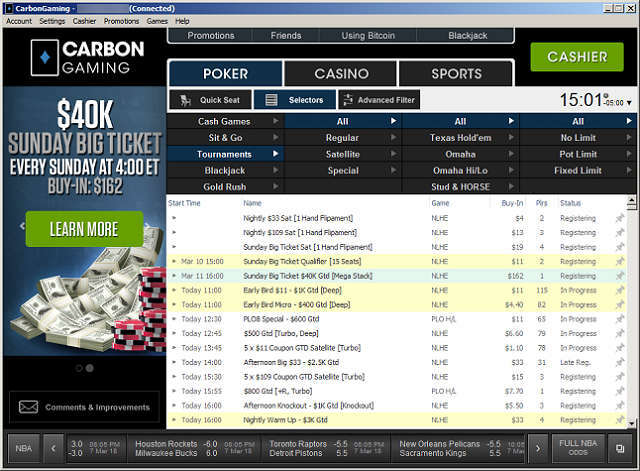 Carbon Poker has ring tables, SNGs, and multi-table tournaments just as most other sites do. There's no fast-fold poker, nor have lottery-style three-player games appeared on Carbon. You can download the poker client to your Windows machine or Mac to access the games. It's relatively free of bugs and runs pretty smoothly. This is a holdover from the days when it was the top site for Americans. Although other aspects of Carbon's operation have deteriorated significantly, the game client isn't one of them. There have been reports of intermittent disconnection problems, but this is a fault of Carbon's own servers rather than the poker client that runs on users' systems. The cash game lobby at Carbon Poker has really tumbled quite a bit from its heyday. This is true both in terms of the variety of games offered as well as in player numbers. While the room used to spread all kinds of obscure poker formats, like 5 Card Draw with a joker, HORSE, and 2-7 Triple Draw, these fun variants are long since gone. There's now only No Limit Hold'em, Limit Hold'em, Pot Limit Omaha, and Limit Omaha/8. You can play No Limit Texas Hold'em and Pot Limit Omaha at stakes between $0.05/$0.10 and $2/$5. Limit games go up to $15/$30. In Texas Hold'em (both NL and LHE), you can play either six-max or full-ring while in the other games, only six-handed tables are listed. There are no heads-up ring games. Of these four forms of poker, only NLHE and PLO get much action. This is undoubtedly a function of the low level of traffic that the room gets. With only 150 players logged in on average, there's simply not enough player volume to keep a wide array of tables populated. Unfortunately, you can't see per-table stats, like players/flop and average pot size. Instead, each blind level is listed separately with the number of tables active and total number of individuals playing at that level. To take a seat, you choose a game and stake level and then press “Start Playing.” The software will put you in a matching game. The rake in limit games is about par for the course – we've seen better, but we've also encountered worse from time to time. In big-bet games, however, the Merge Gaming Network's rake schedule leaves much to be desired. The rake percentage in all NL/PL games is 5.56%, higher than the industry-standard 5%. Furthermore, the maximum rake taken in a hand, called the cap, is $4 at blind levels up to $1/$2 and $5 at $2/$5. Most other online poker sites cap the rake at no more than $3 ($4 at some stakes in some rooms), so you're paying extra when you opt to play at Carbon. 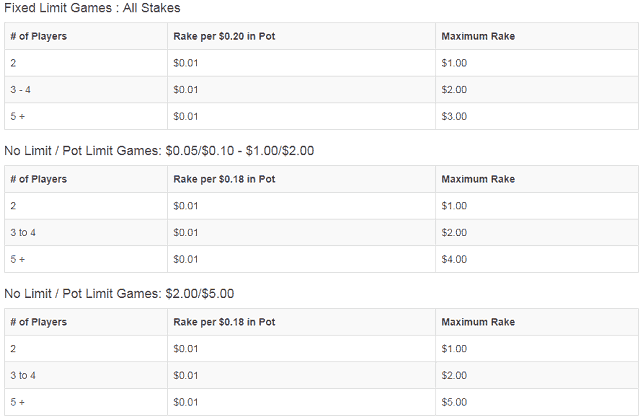 These lackluster rake arrangements aren't helped by the fact that there's no Carbon Poker rakeback or rewards program. For a rundown of the better options you have available rake-wise, check out our page comparing the rake at various poker rooms. The tournament offerings at Carbon are pretty strong, and the site really provides a better caliber of MTT listings than one would expect of a poker room of its size. The headline event is the $150 + $12 Sunday Big Ticket. It starts every Sunday at 4:00 p.m. ET and comes with a guarantee of $40,000. As far as the everyday schedule is concerned, you'll see events that you can enter from $1 + $0.10 at the low end up to $100 + $9 if you're looking for something a bit bigger. Many of these have guaranteed prize pools, and overlays are pretty frequent. The bulk of the games are for NL Hold'em, but there are a few that feature PLO, PLO-8, HORSE, and Stud H/L. Oddly, these latter two variants aren't found in cash games; they're only available in tournament form. Yet, Carbon is one of the few U.S.A. poker sites to regularly run tourneys in these formats, so this is a selling point if you're a partisan of these two games. Carbon has a robust lineup of satellites. They include MTTs that pay out seats to the Sunday Big Ticket as well as events that reward winners with tickets good for any contest at the specified buyin level. The Carbon lobby is divided into sections for Cash Games, Sit & Go, and Tournaments just as you would expect. There's an additional “category” for blackjack, but it just launches this casino game in your web browser; there's nothing really contained in this area of the lobby. When Carbon runs a tourney series, its events are sometimes listed in a dedicated tab too. An Advanced Filter lets you exclude and include games according to the attributes that you specify. This helps you drill down to only those tables and tournaments that you're interested in. There's a Quick Seat option (only present for ring games and SNGs) that lets you specify your format, game, and stake and then enter any available game that meets your criteria. The tables at Carbon are about what you would expect with player nameplates and avatars positioned around the window and a chat box in the bottom-left. There's a preferred seating feature that lets you choose which seat location you wish to occupy. If you're a multi-tabler, you can tile, stack, or cascade all your games with a couple of clicks. The “Personalize Tables” menu option allows you to customize the card backs, table colors, and other graphical elements. 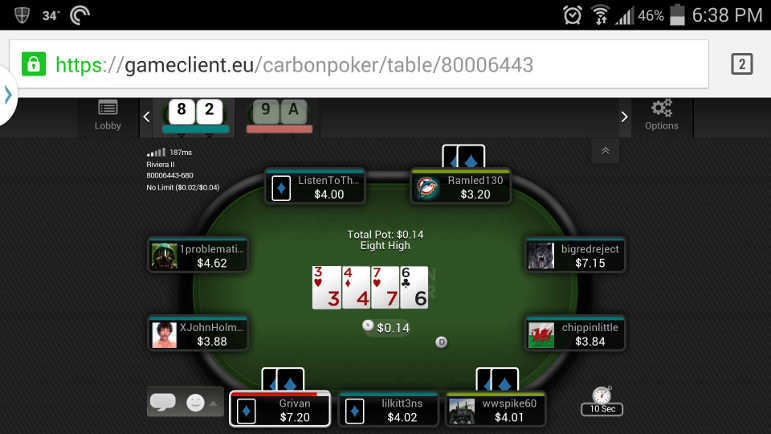 Carbon has a mobile poker app that works with iPhones, iPads, and iPod Touches with iOS 5 or later. It's also compatible with Android devices and the desktop browsers Chrome, Safari, Firefox, and Internet Explorer. Through this multi-browser compatibility, you can probably open the poker room on other mobile platforms, like Windows Phone and BlackBerry. Carbon states that its mobile interface supports only ring games and sit & gos and only a single table at a time. We found both of these restrictions to be false. We were able to register for and play an MTT without incident, and we also experimented with multi-tabling cash games. We encountered no difficulties, and in fact, the Carbon app's mobile software showed us a bar near the top of our screen with the hole cards for the other tables we were seated at. It may be the case that Carbon just doesn't want to advertise features that may still have bugs or could lead to unwanted support tickets. Whatever the truth of the matter, there is multi-tabling and tourney play open to mobile users though we suppose it's at your own risk. Anyone funding his or her account for the first time is entitled to claim a 100% up to $1,000 bonus. This deal is unlocked by entering in the Carbon Poker bonus code BONUSPK at the time of deposit. In addition, those who input this bonus code will receive a $3.50 tournament coupon. The bonus is earned out in increments of $10 for every 500 poker points collected. You'll gather points at a rate of 10 for every $1 in rake you pay, so every $10 bonus portion requires that you rake $50. This is a Carbon Poker rakeback equivalent of 20%, which is pretty middle-of-the-road compared with the poker bonuses at competing sites. The bonus expires after 60 days. There's usually a 100% redeposit bonus every month that allows you to still claim free cash even after your welcome bonus is completed. The terms are usually identical to those of the new player bonus described above, but they're sometimes subtly different, so read the promotions page first before claiming any Carbon Poker reload bonus. It's pretty common for Carbon to provide depositors with bonuses for the other wagering platforms besides poker. Unless a given bonus is listed as being specifically for poker, you will not be able to clear it at the tables. Before withdrawing any of this free money, you'll have to complete playthrough requirements. The standard rollover that must be achieved on most bonus deals is 5x on the horses, 20x on sports-betting, or 35x in the casino. 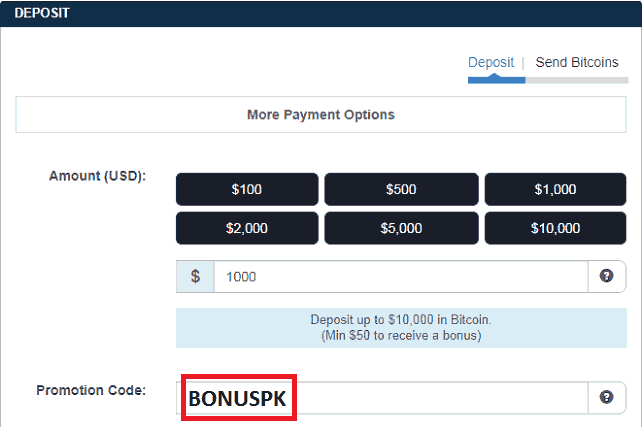 These figures apply only to the bonus value; you aren't required to roll your deposit over this many times. The bonus clearance occurs in sub-dollar intervals, so you won't have to finish the entire wagering requirement before you start to see your bonus funds translate into real money. Carbon maintains a Bad Beat Jackpot that pays out if you go to showdown with four of a kind and lose. It's active at every NL Hold'em table except for heads-up games. Unlike at most other poker rooms, there's no special drop taken from pots to fund this BBJ. Carbon puts up the cash itself. Unfortunately, this means that the total in the pool is typically just a few thousand dollars as opposed to the hundreds of thousands of dollars that you may encounter elsewhere. Everyone who has earned at least 50 Player Points within the past seven days can participate in a daily $100 freeroll. This isn't a tremendous sum of money up for grabs, but it's easy to qualify, even for microstakes players, because 50 points corresponds to just $5 in rake generated. Furthermore, the fields tend to be small at around 100 participants, so the chances of scoring a prize are pretty decent. Carbon allows U.S. customers to add money to their accounts only via crypto-currency, having removed the option to deposit with a Visa card. You can fund your Carbon account with Bitcoin, Ethereum, Litecoin, or Bitcoin Cash. Update - As of March 2018, Carbon no longer accepts credit card deposits of any kind! If you elect to employ BTC, you can add between $5 and $10,000 to your balance at a single time. We highly recommend that our readers transact in bitcoins for their online poker needs. If you're not sure how to properly use this digital crypto-currency, then check out our Bitcoin guide for online poker players. When it's time to request a payout of your winnings, you used to have three options: check, Bitcoin, and bank wire. However, many USA users have reported that their available withdrawal methods are restricted to just Bitcoin. Even the three altcoins that Carbon added to its cashier for deposits are not listed for cashouts. Bitcoin used to be good for withdrawals up to $5,000, but this maximum was reduced to just $2,500 in May 2018. To request your money, you must enter your correct PIN code, or else your payout will be denied. This PIN is generated randomly and sent to your email address upon signup at Carbon Poker, so don't delete this email! If you do happen to lose your PIN, you can go to the “Forgot Your PIN” link in the My Account section of the website to create a new one. You'll be asked the answer to your security question, and then a new PIN will be generated for you. The Carbon cashier used to represent a pretty decent mix of old-school and innovative processors, but now that the firm seems to be dealing exclusively in cryptos, there are bound to be a few traditionalists who are disappointed. Besides this drawback, there another big one. Apart from one withdrawal per year for free, every additional cashout comes with a fee attached. The fee is 3% of the transaction amount. While it's normal for internet poker rooms to levy fees on legacy payment methods, it's really unusual to do so on BTC transactions. The fact that you must pay extra to get your money through Bitcoin really mitigates one of the biggest advantages to using virtual coins. Before processing your first withdrawal, Carbon requires that you conform to its account verification policies. This is because online fraud and money laundering are rife, and so the site wishes to make sure that you are who you claim to be before transferring any real money to you. Under the terms of Carbon's KYC (Know Your Customer) arrangements, every customer must submit a color copy of his or her government-issued ID and proof of address (utility bill within the past six months). People who request bank wires must additionally send a copy of their bank statement or voided check. Account verification must only be completed once. The security team will keep your documents on file, and so it won't be necessary to send them again unless you move to a new address or your personal details change for some other reason. Even when Carbon was the go-to place for American online poker players, it had intermittent payout delays. While it has always eventually made players whole, the waiting times can be truly annoying. Those expecting bank wires have been known to wait more than two weeks while typical timeframes for checks are three to four weeks. Only by opting for Bitcoin can you cut this window down to a few days, but you'll have to pay a 3% surcharge for this convenience (aside from your first payout of the calendar year). Carbon makes you pay extra just to get a level of cashout speed that's standard at other internet poker sites. For more information on Carbon and other poker rooms in the payments department, consult our list of the fastest paying casinos and poker sites, which is updated monthly. It's somewhat puzzling when a dependable, trustworthy online poker site, like Carbon, starts to slide into disreputability. We've chronicled the steps in this lamentable journey below for your enlightenment. The roots of Carbon Poker start with Poker.com, a site created in Australia in 2004. After three years, this site was sold to new investors who decided to launch a new brand, Carbon Poker, while turning Poker.com into an informational portal rather than a poker room. The new network was christened the Merge Gaming Network. In its early days, Carbon Poker was a boutique site catering to a small but loyal fan base. Never one of the leaders in traffic numbers, Carbon nevertheless had rewarding promotions, dedicated customer support, honest payouts, and fishy tables. The network pulled off a major coup in April 2010 when it convinced Sportsbook.com and PlayersOnly, two high-volume skins owned by Jazette Enterprises, to switch over to Merge from the Cake Poker Network. This move tripled Merge's player volume although it set the network up for plenty of future pain, which we'll get into in a moment. When Black Friday suddenly occurred on April 15, 2011, most internet poker sites were unprepared. Carbon certainly had no way of foreseeing the departure of PokerStars, Full Tilt, and Absolute Poker from the U.S.A. poker scene, but the Merge Network was in an excellent position to capitalize on these unfortunate events. By this time, it had become larger than Cake, Bodog, Everleaf, and other rivals in the U.S.-facing online poker space, so it was the natural choice of poker enthusiasts searching for a new online home now that their previous sites no longer accepted their custom. Player counts at Merge doubled. Indeed, so heavy was the demand for its services that the network stopped accepting new American signups for a while before it was able to catch its breath and reopen to U.S. residents again. By this time the network had begun to add new skins at a breakneck pace. 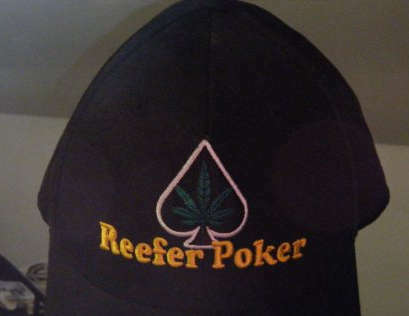 RPM Poker, Hero Poker, Lock Poker, and Reefer Poker (yes, it was themed around what you're thinking) were just a few of them. Unfortunately, many of these companies possessed a desire to score themselves a piece of the lucrative internet poker market without the business acumen necessary to successfully do so. 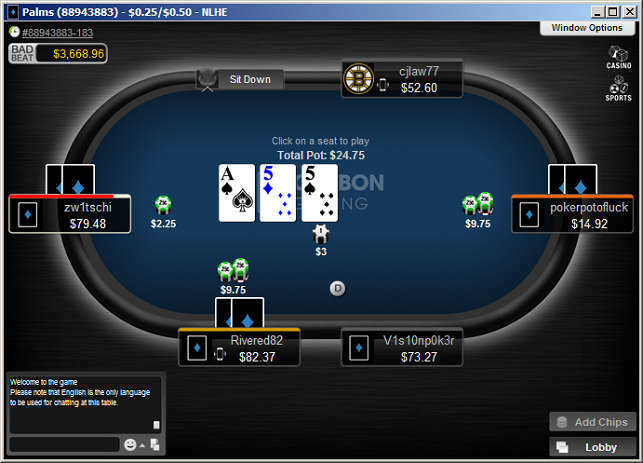 Lock Poker broke network rules around the value of the promotions they offered players and departed for the Cake Network in May 2012. (This actually turned out well for Merge because Lock ended up being a pure scam, stealing an estimated $15 million from players). Other rooms on the network began poaching customers from each other by providing them with under-the-table rakeback deals that squeezed margins and decreased the revenues of the more legitimate network operators. Reeling from the financial repercussions of these dealings, the network needed an infusion of cash – and fast. Jazette Enterprises, owner of the Sportsbook and PlayersOnly skins, provided the money infusion required. Although it's not clear how the re-capitalization worked, from this point on, Jazette took the lead role in determining the Merge Network's policies and direction. Sadly, Jazette is mostly a sports-betting and casino enterprise. Its management views poker as an unimportant sideline. Rumor has it, in fact, that the entire reason for Jazette acquiring majority control of the network was to prevent its profitable casino and sports players from losing their bankrolls to savvy poker sharks housed on other network organizations. This company's disinterest in and dismissal of the poker side of the equation soon began to manifest itself. In November 2012, Carbon players were prevented from conducting peer-to-peer transfers. This raised the ire of many U.S. customers who had relied upon this feature to bypass the sometimes-lengthy payout process. This was just a foretaste of worse things to come as the network discontinued offering rakeback in February 2013. The rakeback system was replaced by a VIP program, which promised significant returns at least to the upper tier of high-volume players. However, Carbon VIP lasted little over a year before being abandoned without any replacement appearing. 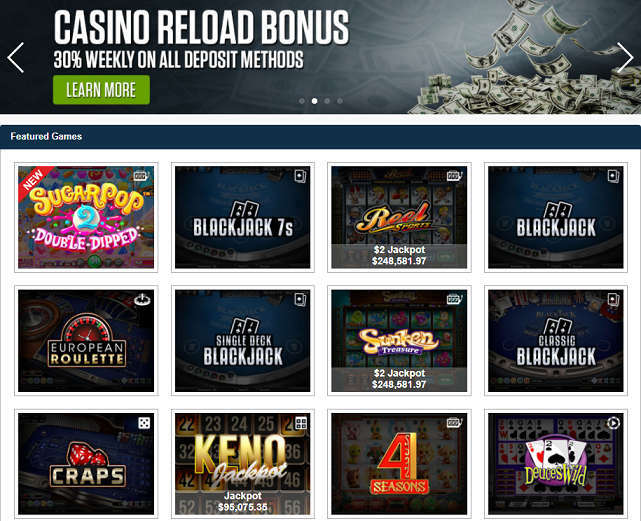 There's currently no program in place to reward Carbon Poker's faithful, long-term customers. At around this time, Carbon started a controversial strategy that it has continued to this day. It actively monitors the playing history of its users and restricts those whom it deems to be too successful. Winners are sometimes kicked off the poker platform altogether. In other cases, they see the number of tables they can sit at simultaneously reduced to just a few or even one. The reasons for doing this are obvious. Losing and breakeven players see most of their deposits converted into rake whereas solid winners build up reserves of cash, which are then withdrawn from the site. By excluding winners from its games, Carbon is reducing the amount of money it has to pay out and increasing its own “hold” percentage. It's a money grab pure and simple. All of the above decisions contributed to Carbon's slipping in the player traffic rankings. However, the next step taken by the Merge Network accelerated this trend, which continues to the present day. In June 2015, Carbon ended its affiliate program. Besides angering its third-party affiliates, many of whom had been promoting the site for years, this also resulted in a downturn in attracting new players. At present, Carbon isn't even one-seventh as popular as the PaiWangLuo Network, which is the largest U.S.A. online poker network around. Quite a fall from grace for the former leader in American online poker. 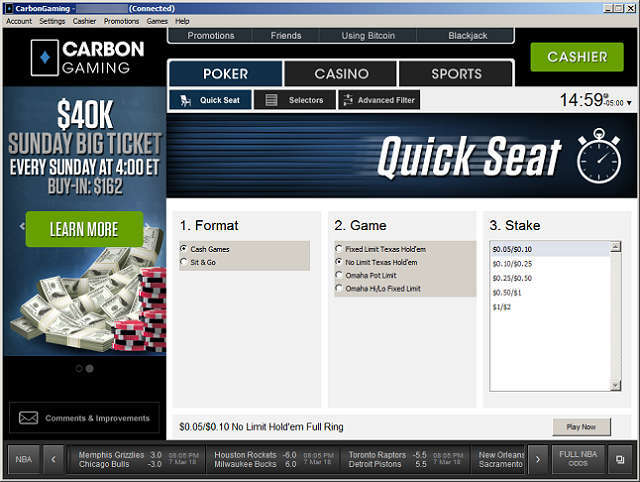 The Carbon Casino opens up in your web browser; there's no separate download application to install. More than 120 games are ready to be played instantly. The software suite used in the Carbon Casino is provided by Betsoft. This company made a big splash in the industry with the debut of its Slots3 platform, which incorporates 3-D animation and characters to make the gameplay more lifelike. This cutting-edge engine can be found in such titles as “Safari Sam,” “After Night Falls,” and “At the Copa,” which can all be enjoyed at Carbon Casino. Apart from the slots, you can load up table games, like craps, roulette, and blackjack, along with video poker and several other specialty games. Speaking of video poker, Carbon has the unique pyramid poker variant where your five-card hand is split up into two separate three-card hands (with the middle card belonging to both sub-hands), and you'll get paid on each three-card winning combination in addition to the five-card main hand. The standard bonus rollover in the Carbon Casino is just 35x the value of the bonus. This is the case no matter which games you play apart from Roulette and Craps, which don't count at all toward clearing bonuses. These are some of the most favorable terms we've seen for any online casino bonus, and so if you do elect to play cards at Carbon, you should definitely take advantage of these casino offers whenever they appear. Carbon Casino has standard redeposit bonus deals as well as time-limited specials. Every once in a while, you may even receive an email containing a bonus code that you can use to get some free casino funds. Once you are done with your advantage play, and paid your exorbitant 5% withdrawal fee to get your winnings, we recommend that you head over to one of our recommended casino sites instead to find a permanent home to gamble the night away. The sportsbook at Carbon used to be the best online sportsbook USA had to offer, providing odds for baseball, basketball, football, and a wide range of other sports. You can make straight wagers, parlays, teasers, and if bets. A special section of “Parlay Boosters” lists combinations of outcomes that pay off at higher odds than if you just selected them as part of a normal parlay. In some contests, you can buy points to adjust the spread in your favor. There's a Live Betting area too although the number of games covered is somewhat disappointing. In addition to the normal sportsbook bets that are available, Carbon also runs sports-related contests from time to time. These include bracket contests for such tournaments as NCAA March Madness and Squares. These Squares are reminiscent of the office football pools you may have participated in at work, and Carbon is one of the few sportsbooks to offer them online. The racebook at Carbon covers more than 200 tracks, including thoroughbred, harness, and greyhound racing. The tracks are divided into categories A, B, C, D, E, with class A featuring the highest betting limits and possible payout odds and E capping the action at pretty small amounts. Most of the races listed are in the United States, but there are a few from the United Kingdom, Canada, Australia, and other regions too. 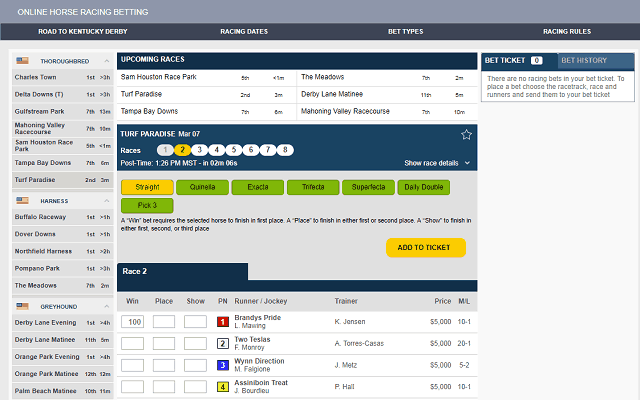 You can make straight wagers, like Win, Place, and Show, along with exotics, like Pick 3, Exacta, and Superfecta. Every day, you'll get cashback on your racing bets, paid in the form of a bonus with a 5x rollover requirement. The percentage of this cashback varies depending on the types of wagers you make and the classification tier of the tracks involved. It can be as high as 3% for straight wagers and 8% for exotics. This bonus is applied to your total racing handle regardless of the results of your bets. There are a couple of ways to get in touch with support at Carbon. You can fill out a webform and wait for an email response. There's also a feedback link for sharing your opinions and suggesting improvements. A FAQ and help section contains documents that may answer your query. Carbon also has Live Chat support, but it's hard to find because the only link to it is buried on the deposit page. WARNING: Carbon Poker has really declined precipitously since the time that it was the leading U.S.-friendly online poker operator in 2013-2015. We urge our readers to exercise caution and to avoid depositing here because the current owners do not have the reputation for honesty that the previous team did. Experienced players who are comfortable taking risks might wish to incorporate this site into their roster of places to play, but even sophisticated poker veterans have good reasons to take a pass. If you do elect to open an account at Carbon, don't say we didn't warn you. Best of luck, and we hope you don't deposit any cash you can't afford to lose. Players from Delaware, Kentucky, Louisiana, Maryland, Missouri, Nevada, New Jersey, New York, Utah, and Washington State are not allowed to register new accounts at Carbon. Individuals from these states who have pre-existing Carbon accounts in good standing may be “grandfathered” in and permitted to play. In addition, people from Australia, France, Portugal, United Kingdom, Russia, Ukraine, Austria, Sweden, Belgium, Czech Republic, and several other countries are blocked. Is the Carbon Poker site legitimate? It's debatable whether or not Carbon is a legitimate online poker site. It hasn't moved categorically into the shady camp quite yet, but it seems to be heading in that direction. Besides high withdrawal fees and a lack of resources devoted to the poker side of the business, the site actually takes active steps to inconvenience its player base. Winning poker fans have been banned in the past, and most of the promotions that used to grace the site are now long gone. Furthermore, payouts take a long time, sometimes months. Is Merge Gaming Network legitimate though? At some networks, there are both reputable as well as somewhat questionable operators. However, the Merge Network is controlled by the same people that run Carbon: Jazette Enterprises. This means that all the network skins are basically the same and only have a few branding differences. Whichever of them you sign up at, you'll be playing at a site run by Jazette and will be subject to their decisions and whims. What are the differences between Carbon, Sportsbook.com, and PlayersOnly? All three Merge Network sites have distinct histories, and there used to be differences between them in the past. However, they're all managed by the same group today, and they're 99%+ identical. It may be worthwhile to sign up for more than one of them so that you can maximize the number of account-specific bonuses you receive via email, but apart from this, it doesn't really matter which Merge skin you register your account at. Is Carbon Poker one of the Mac-friendly poker sites or mac-compatible poker sites available to US players? Carbon Poker does have a Mac poker client, so you can enjoy the card game action from your Mac computer. However, there are better choices available, which we go over in our extensive guide to poker for Mac users. While we disagree with many of the business decisions that Carbon and the Merge Gaming Network have made in the last few years, we will stop short of calling them a scam. A true scam site is one which takes your deposit with little to no intention of returning it when requested. Carbon doesn't do that. It does pay slowly, screw over business partners, fail to have any meaningful loyalty program for customers, and many other egregious offenses, but it does not outright steal money. How does the Merge Poker Network handle cancelled Tournaments? Community/Private Games: Each player will be refunded back the exact amount of money he or she had at the start of the hand at the time of cancellation. Single-Table Tournaments: If a Tournament is cancelled because for technical reasons, any players who were eliminated prior to cancellation will lose their buy-in and entry fee. Remaining players will have their buy-in and entry fee refunded and will receive an equal share of the buy-in monies of the eliminated players. The eliminated players' buy-ins are equally divided regardless of chip standing at the time of cancellation. All remaining players will be refunded their buy-in and the total amount of refunded buy-ins will be subtracted from the remaining prize pool. The remaining prize prize pool is then distributed amongst the remaining players: 50% distributed equally and 50% distributed based on stack size at time of shutdown. What steps do I need to take to verify my Carbon Gaming account? Step 1: In the online poker client, click the “Account” item in the top menu and then click “My Details.” This will open your internet browser and bring you to your Player Admin page. Step 2: Click on “Account Verification” in the left navigation bar on your Player Admin page. Then choose “Overview.” This will take you to your Verification Overview page. Step 3: Simply click the "Upload your documentation" link in the middle of the page. Much of your personal information is already generated. In the subject field, type “Player Account Verification,” and in the message field, type that you are submitting the documents for review to verify your account (you can list which ones if you like as well). Step 4: If the documents you are submitting do not pertain to banking information, click the 'no option. If they do, click the 'yes' option, and more fields will appear. Fill out the information requested. Note that US players will not need to fill in the Swift/BIC or IBAN fields (ROW players only). In the banking address information fields, enter the information of the bank you use most frequently. Step 5: Attach the documents you are submitting by clicking "Choose File" in each field. Please note that the combined size of your files cannot exceed 5MB. Once this is complete, click the "Next" button. That's it! You should receive an email confirming that Merge received your documents shortly thereafter. As long as you followed the steps correctly, you should receive an email confirming the verification of your account was successful within approximately 48 hours. Make sure your files do not exceed 5MB in total size (save them as PDFs or if you have images, save them as lower quality JPGs)! If they are larger than 5MB in total, Merge support will not receive them. If you had a pre-existing account and were migrated to the new cashier, you may need to create a new PIN number. This can be done by clicking 'Account Details' in the admin section of your account. New accounts are emailed their PIN number upon creation! How fast are the Carbon Poker payouts if I win? Payout speeds at Carbon have varied tremendously from the relatively rapid to the annoyingly slow, but for the most part, this room tends to lag behind competitors in the quickness with which it gets money into its customers' hands. The introduction of Bitcoin cashouts several years ago helped out a bit, but you have to pay a fee for this privilege (excluding the first withdrawal request in a year, which is free). Can I get Carbon Poker rakeback? It's not possible to get Carbon Poker rakeback anywhere. 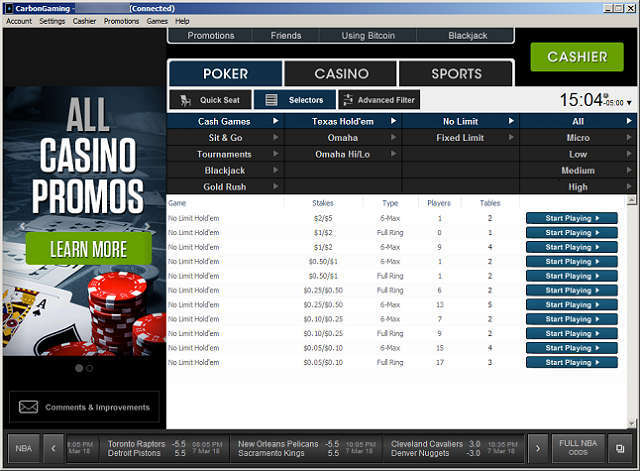 There was rakeback for Carbon Poker in the past, but the site discontinued this program in February 2013. Some internet poker rooms eschew rakeback in favor of comp points and other VIP perks, and this is what Carbon did for a while. However, the VIP scheme was discontinued some time ago, and there's now no way for loyal Carbon Poker players to receive compensation on the rake they pay over time. What are the system requirements for Carbon Poker?